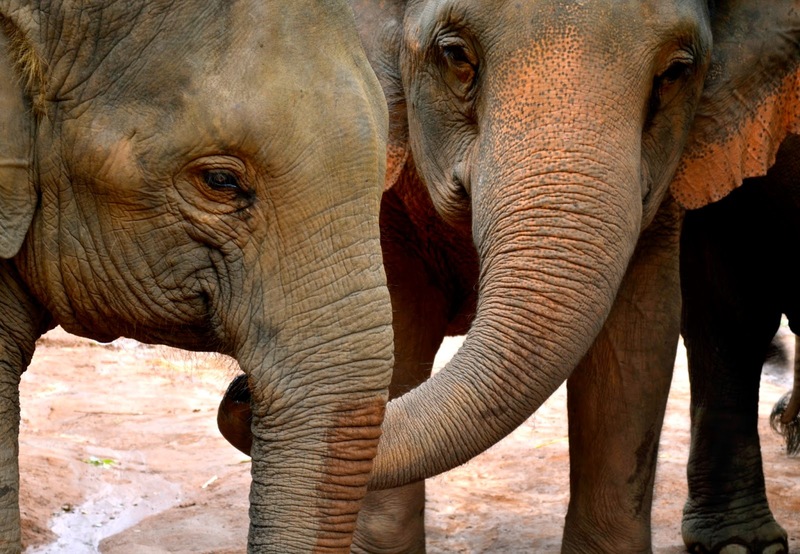 Elephants get distressed when they see others in distress, reaching out to calm them down. Photos, above and below, by Elise Gilchrist, Think Elephants International. 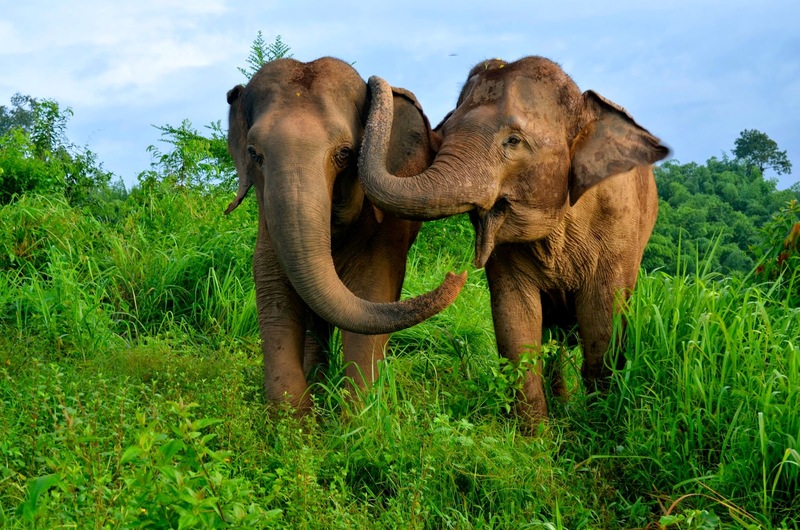 Asian elephants console others who are in distress, using physical touches and vocalizations, finds a study to be published in the journal PeerJ. In the above video, a female elephant hears another make a distress call. She runs toward her upset companion, making soothing, chirping vocalizations and physical contact. Video by Joshua Plotnik. 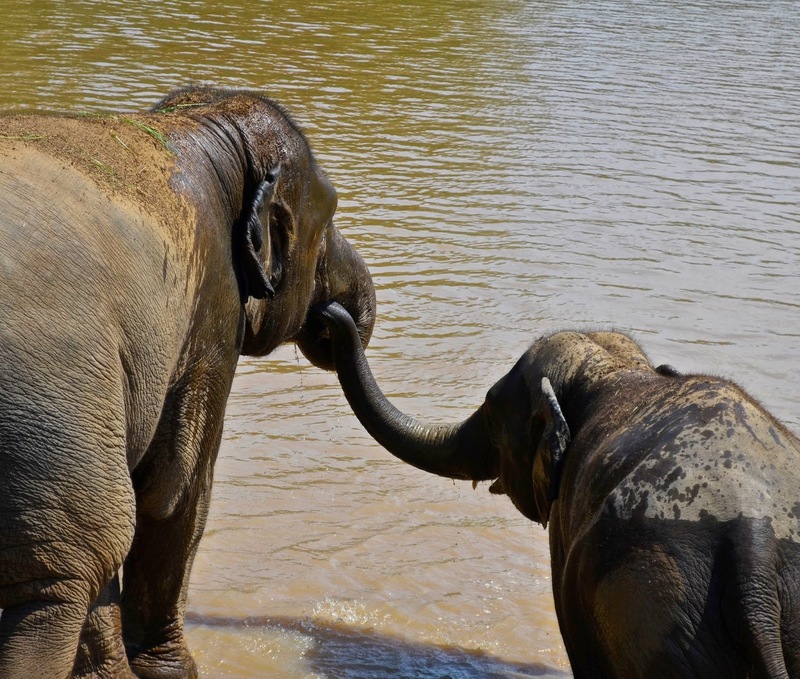 An elephant puts its trunk in another elephant's mouth: An elephant hug. "Humans are unique in many ways, but not in as many ways as we once thought," Plotnik says.